During an orientation for new lawmakers last November, House Speaker Nicholas Mattiello shared some tried and true political advice. Mattiello was referring to the need to collaborate with local officials and focus on local issues. But his emphasis on lawmakers’ home districts can be viewed another way. That’s because the number of voters from Mattiello’s Cranston district with Statehouse jobs has multiplied since he became speaker in March 2014. A review by The Public’s Radio of voting records and a database of state employees shows that 34 residents of Mattiello’s district were working for the legislature by the end of 2018. That marks an almost threefold increase from the 13 Statehouse workers from Mattiello’s district in 2013. We’re not talking about a lot of people. But legislative observers like Common Cause of Rhode Island head John Marion said patronage is a common and longstanding practice that needs to be closely watched. In part that’s because General Assembly workers are at-will employees. In other words, they can be hired or fired without cause depending on the wishes of the speaker. It’s different in Rhode Island since the speaker controls the legislature’s hiring and spending arm, known as the Joint Committee on Legislative Services, or JCLS. And critics like Cranston Republican Steve Frias said patronage gives the speaker more power because of the connection between government jobs and votes. This is more than an academic issue for Frias. He almost pulled off a huge upset when he challenged Speaker Mattiello for his state representative seat in Cranston in 2016. Frias lost by just 85 votes. He now points to the number of District 15 voters who work for the legislature as a factor in the outcome. Frias also notes how the legislative employees from Mattiello’s district include people like former Cranston City Councilor Mario Aceto, who have their own networks of friends and associates. No one is saying that Mattiello is doing anything illegal. But Frias says people with patronage jobs gave the speaker an added boost when he ran against Mattiello. The speaker’s campaign responded by saying the workers were volunteering on their own time. But one of the workers from Mattiello’s district, Joint Committee on Legislative Services director Frank Montanaro Jr., had a controversial arrangement with Rhode Island College that allowed him to collect almost $50,000 in free tuition from the college over three years. The deal was exposed in 2017, by WPRI-TV, Channel 12, and Montanaro responded by saying he would repay the free tuition. Beyond that kind of setup, John Marion of the good government group Common Cause said citizens should be concerned about patronage because legislative leaders can use it to reinforce their own power. He said patronage hires can make lawmakers less likely to speak out if they have relatives who have state jobs, and that patronage can also affect the quality of state government. The presence of patronage jobs at the Statehouse has been well known for years by reporters and other close observers of the legislature. But documenting the precise amount of patronage is difficult, due in part to the number of public employees with different last names from relations with connections on Smith Hill. The salaries for the 34 people from Mattiello’s district who were working for the legislature by the end of 2018 added up to more than $1.7 million. The highest earner among those workers is Montanaro, who now gets paid more than $160,000 a year, although the other workers from House District 15 get considerably less. Critics nonetheless call this payroll a symptom of bloated spending on Smith Hill, where the General Assembly’s budget has climbed by more than $10 million over the last decade, to a proposal of more than $46 million for the next fiscal year. And as the Rhode Island House delves into the budget, the chamber is more divided than at any point in recent years. A 19-member so-called ‘Reform Caucus’ has not raised patronage as an issue. But the group says the speakership is too powerful and that rank-and-file lawmakers should have more control over the path of legislation. Meanwhile, as Common Cause of Rhode Island head John Marion notes, the impact of patronage has spread well beyond the Statehouse. And unless Rhode Island adopts something akin to Civil Service for legislative employees -- which is far from likely -- patronage will remain part and parcel of the General Assembly. 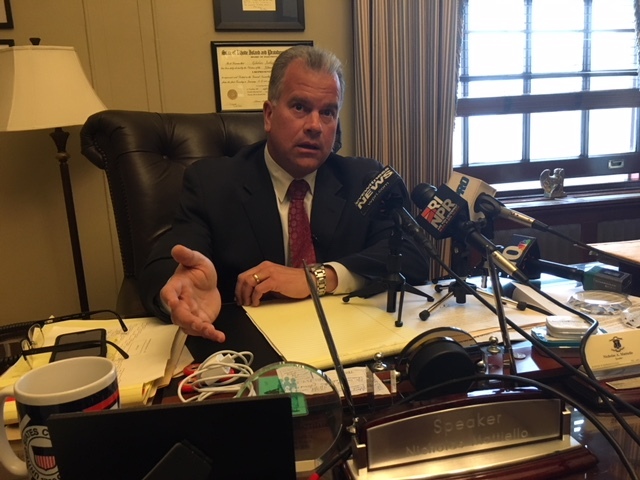 Mattiello, who declined interview requests for this story, is shown here in 2018. He said in a statement that legislative workers from his Cranston district are hard-working people who do a good job for taxpayers. 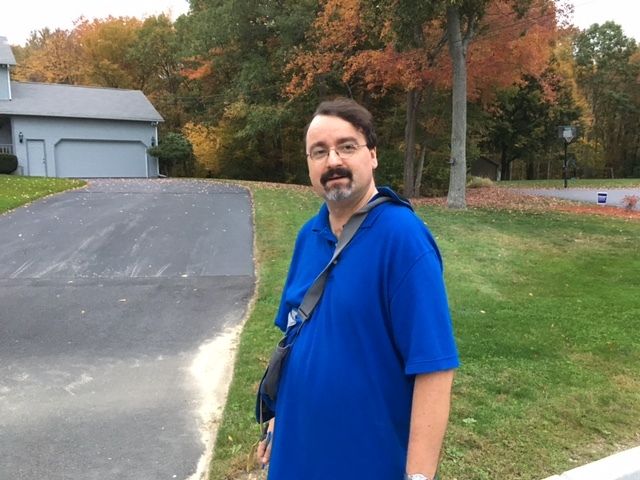 Frias campaigning in 2016, when he lost a state rep race to Speaker Mattiello by 85 votes.